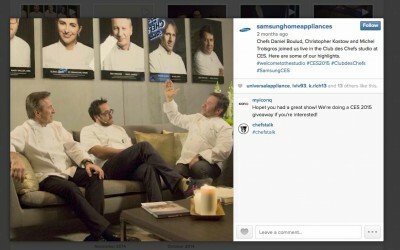 Produced Samsung’s 2015 CES Club des Chef event in Las Vegas and social media content featuring Michelin star chefs Daniel Boulud, Michel Troisgros and Christopher Kostow. Nintendo – Amiibo with Super Smash Bros. Commissioned Artist John Jennings to create Krave T-Shirt Illustrations for the Dare 2 Krave Facebook Challenge. Every week we build community through music at Crave Cafe Lounge and Cafe in Chicago. This is more than the typical open mic. #MusicBuildsCommunity is an event for the community and by the community. Together we create an environment that fosters new friendships, supports local businesses, supports local artists and provides people with a weekly night of entertainment. I was happy to wrap up this spot and see it air during the Winter Olympics.